This store bought costume for girls entered our 2017 Halloween Costume Contest. 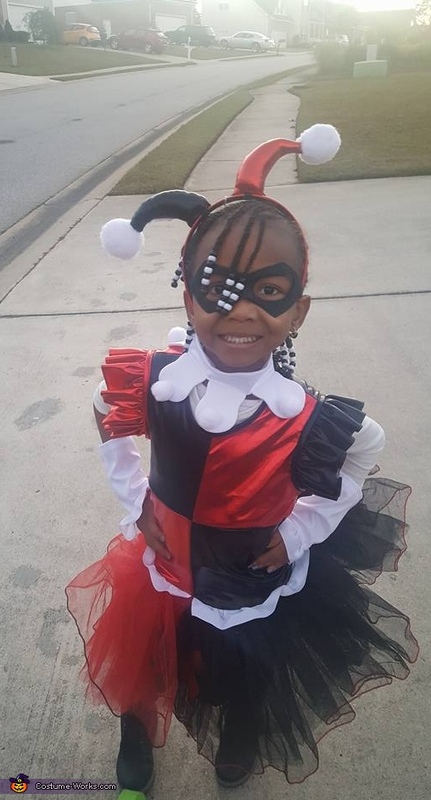 Ayanna is wearing Harley Quinn costume. This is her favorite character in the game Injustice.